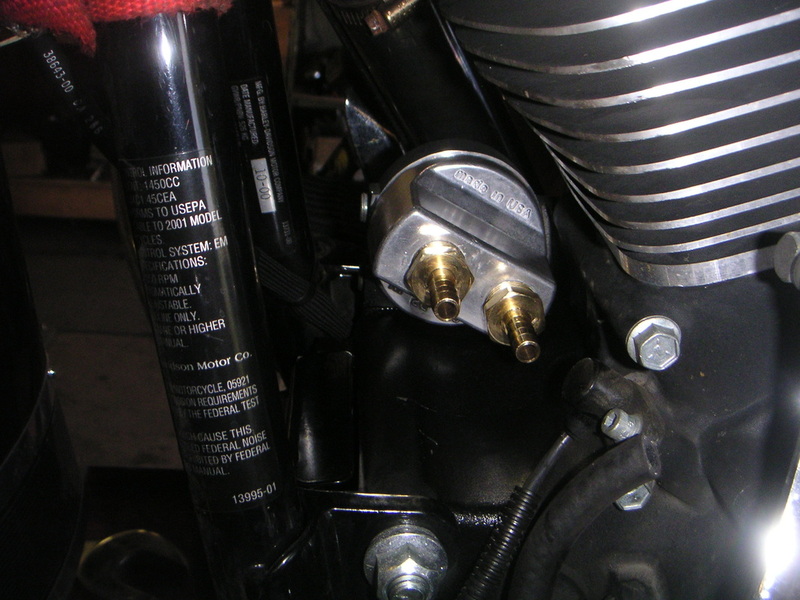 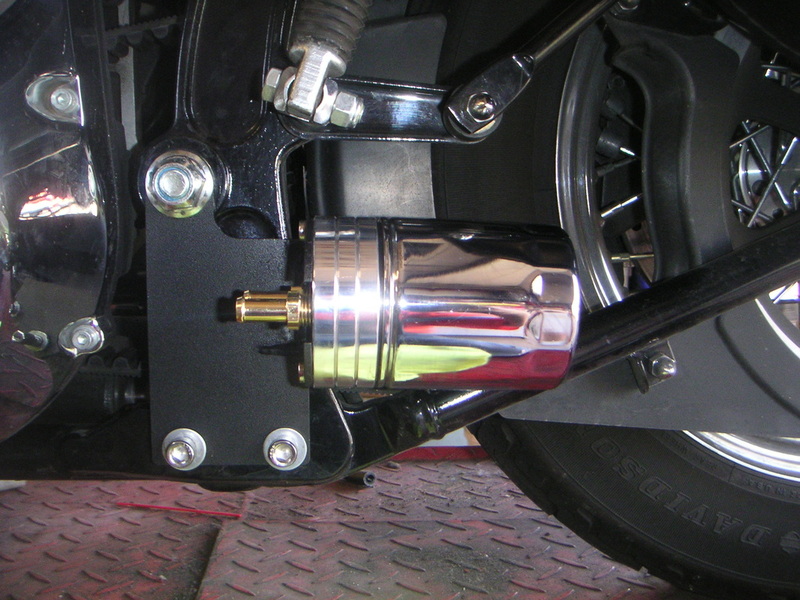 The RF5 series kits fit all Harley-Davidson Softail models with 2 into 1 pipe or staggered duals, as long as your frame has the 2 holes shown in the picture at left. 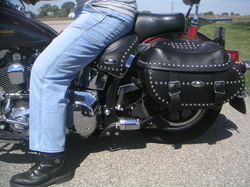 We've only ever seen 2 Softail frames that didn't have these holes and they were both very early models. Odds are, your bike has these holes, even if you don't recall ever having seen them. 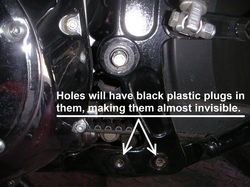 These holes come from the factory with black plastic plugs in them, making them almost invisible.